If you want to get a well-rounded lesson on all things Iceland, the National Museum is a great spot to add to your itinerary. Not only is it located right in the center of Reykjavik — a great location for post-museum dinners or pre-visit shopping sprees — but it does a fantastic job of showcasing local talent (both current and past). History buffs should certainly set aside time to check out this museum. As outlined below, there are tons of artifacts dating back to the country's settlement, including a very special door. You could easily spend an entire afternoon lost at this attraction and that goes for families, too; the museum has something for every age. This guide has everything you need to know about planning a visit to the Iceland National Museum, from when to visit to which exhibits you can see year-round. If you're looking to learn a little bit about everything when it comes to Iceland, you'll want to set aside an afternoon to get lost in the museum. A regular adult ticket costs 2,000 ISK or around $17. Children under the age of 18 are free and there's a special 1,000 ISK (~$8) fee for students and those over the age of 67. One of the most important things to keep in mind is that the museum is closed on Mondays between September 16th and April 30th. Normal hours run between 10 a.m. and 5 p.m. The National Museum's permanent collection, "Making of a Nation," focuses on a timeline from the country's settlement to current day. Make sure and spend a good amount of time in the settlement exhibit, as its known as one of the strongest in the museum and displays Iceland's introduction of Christianity. According to the museum website, "it begins with the ship in which medieval settlers crossed the ocean to their new home, it ends in a modern airport, the Icelanders' gateway to the world." All together, the exhibit has around 2,000 objects, including more than 1,000 photos from the 20th century. You can also access a free audio guide via Smartphone app for the permanent collection. To do so, visit the museum website and download the app. The audio guide offers nine languages: Icelandic, English, Danish, Swedish, Spanish, Polish, French, German, and Italian. The National Museum's rotating exhibits are a real treat because you never really know what's going to pop up. Currently, the museum is hosting an exhibit on artists' books and creative printing at the Culture House, "Discovering Iceland's Monasteries," 400-year-old vellum literature, and a look into the "Churches of Iceland" curated by museum directors and a bishop. 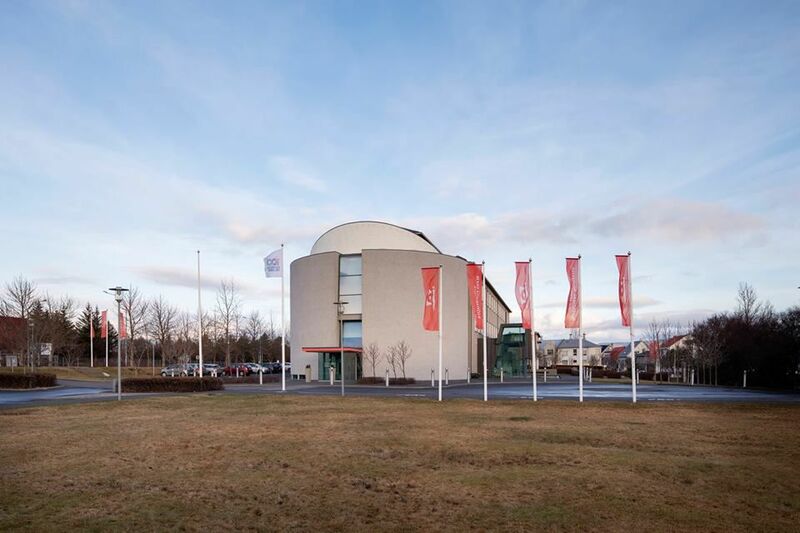 You ticket into the National Museum of Iceland will also score you entry into the Culture House, a collaborative project between the National Museum of Iceland, National Gallery, History Museum, National Archives of Iceland, University Library of Iceland, and the Árni Magnússon Institute for Icelandic Studies. The exhibit will dive into special artifacts from all of the museums and institutions arranged by theme, from contemporary art to 14th-century manuscripts. Heads up: The Culture House is closed on Mondays during the wintertime (the same date range at the National Museum of Iceland). If there's one thing you're going to see at the museum, make it the 13th-century Valþjófsstaðir church door. There are carvings all across the artifact, depicting a knight's story with his lion and a pack of dragons. You'll also find plenty of swords and drinking horns, which are always fun to spot.